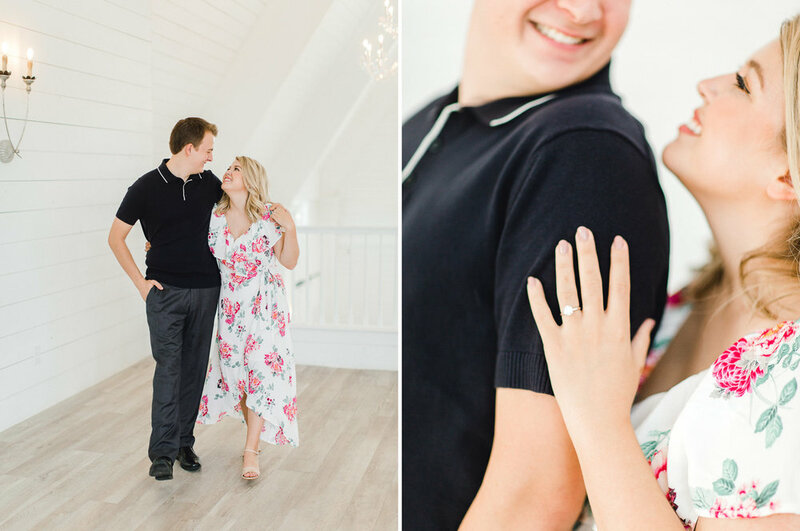 How many images from Caitlin and Grant's engagement session are too many to share? 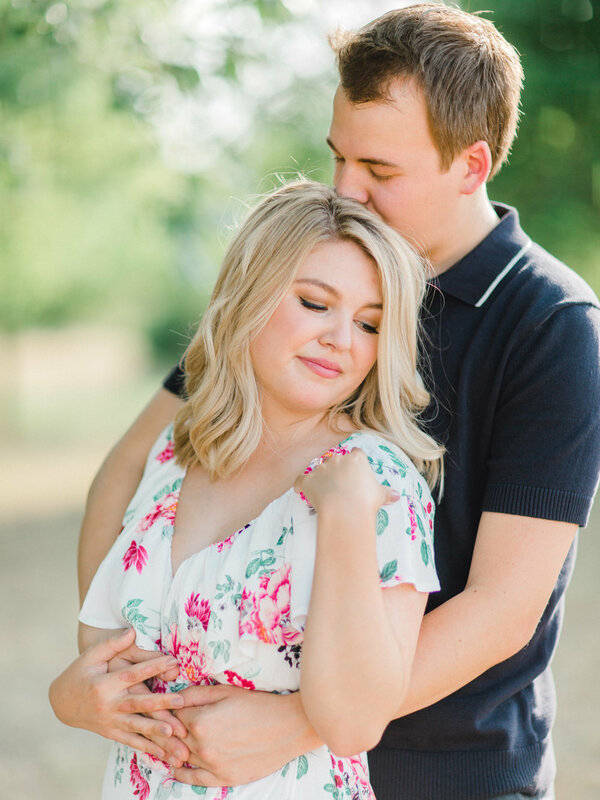 It's literally impossible to narrow it down! 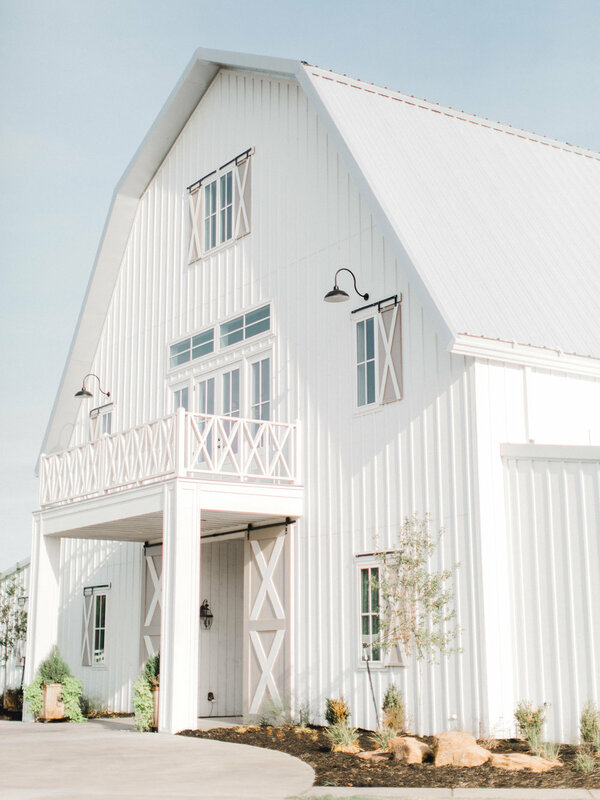 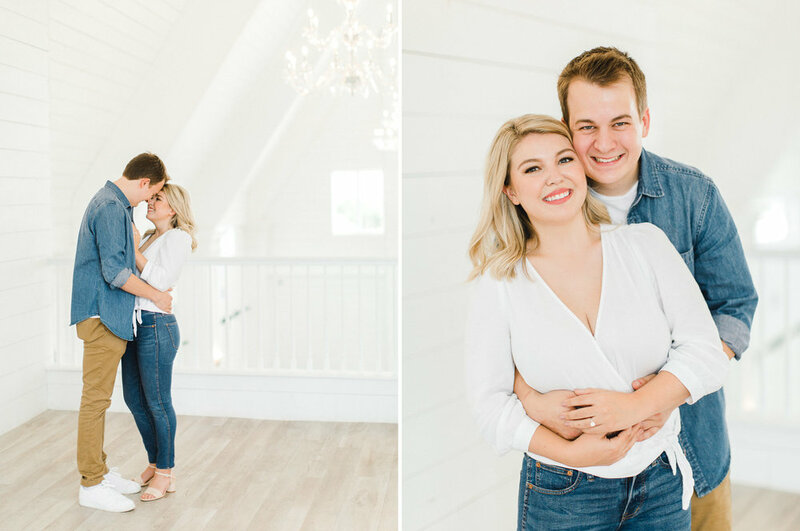 The Nest at Ruth Farms is one of my very favorite wedding venues (I even had my own family portraits taken here last fall) and I was so excited that this sweet couple chose to use it as a backdrop for their photos! 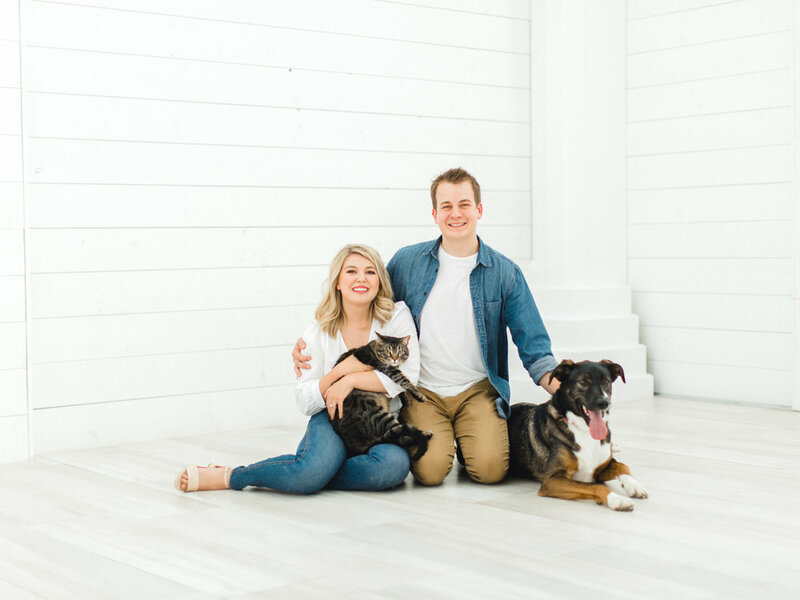 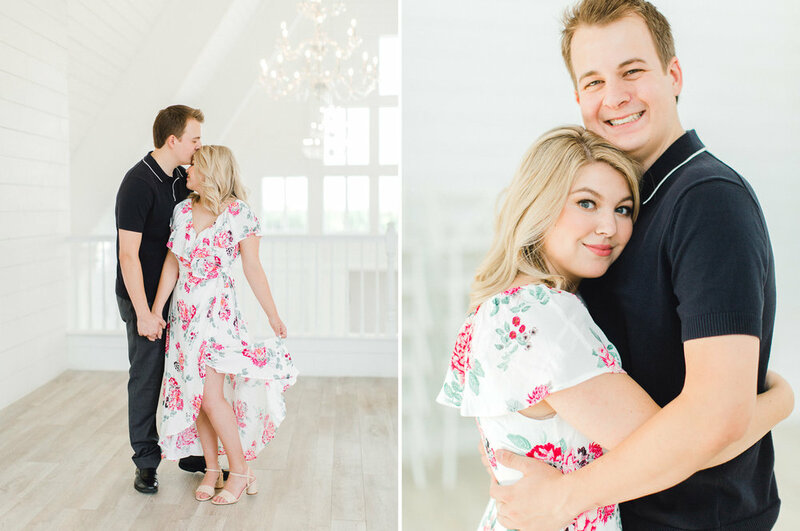 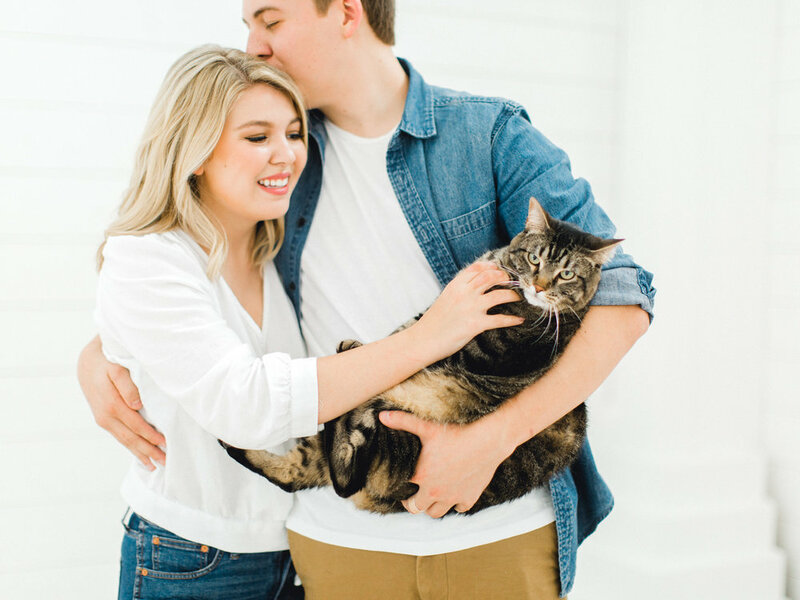 Caitlin and Grant's session was complete with their two furry friends, a mid-session dance break, and lots of giggles! 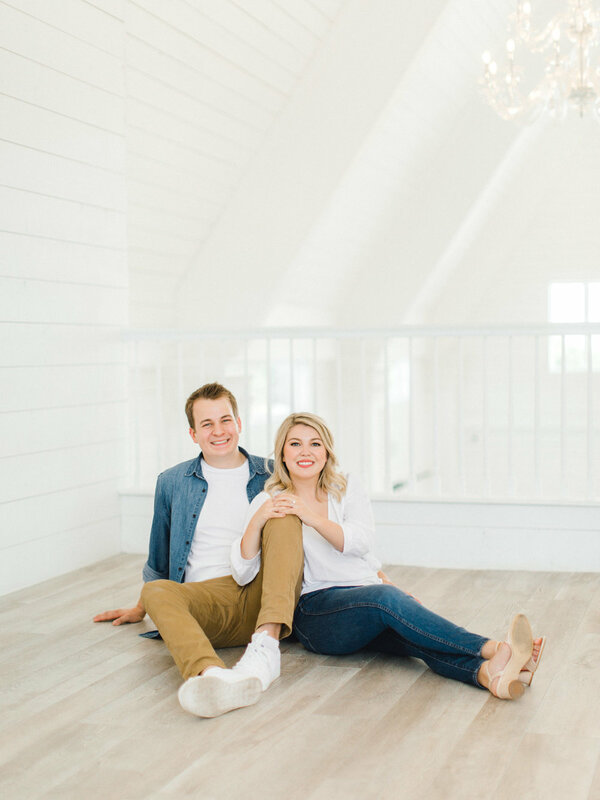 I'm so excited for more laughter and fun with Caitlin and Grant when they get married in this very spot next spring!